Space per pupil: 166 sq.ft. Fort Rucker Elementary School, located on an active United States Army Base at Fort Rucker, Alabama, has been educating students and military families since 1963. 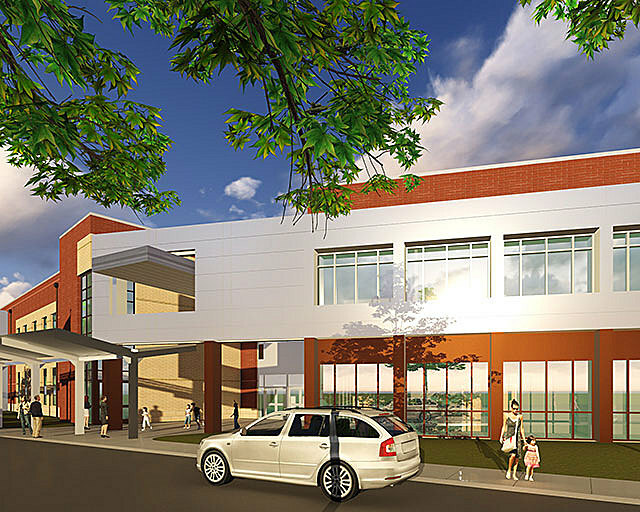 Currently, the existing elementary school accommodates students in second through sixth grade with younger students age four through first grade attending a nearby Primary School. In order to consolidate the schools and bring the facilities up to the Department of Education Activity’s (DoDEA) 21st century education standards, a new Fort Rucker Elementary School is being designed on the existing elementary school site and will house Pre-K through sixth grade students. The innovative, new 21st century school is designed to be a modern learning environment filled with state-of-the-art features and technology to meet the needs of today’s student and carry them into the future. The U.S. Army Base at Fort Rucker has been in operation since World War II. The Army Aviation Center made the base its home in 1955 and has been focused on training and educating Army Aviation professionals. The design of the new Fort Rucker Elementary School embraces the culture and significance that this installation represents today and throughout military history. 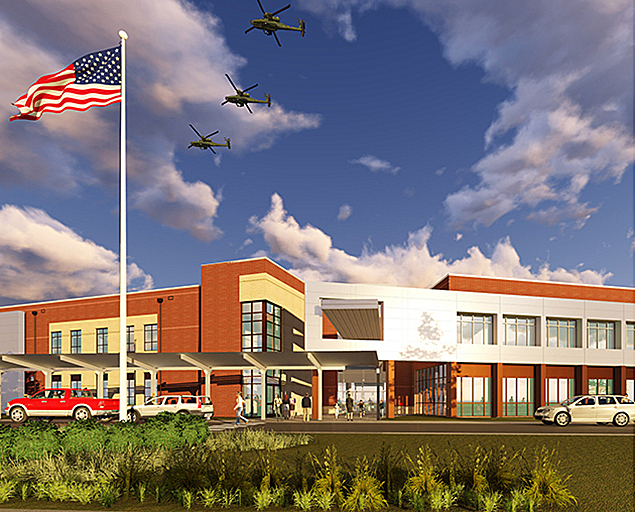 The exterior of the new elementary school was designed to be a focal point for the community and complement the local vernacular and materials used on the Fort Rucker installation. The intent of the design was to create a clean, modern approach to the traditional brick vernacular of the installation. Brick masonry is utilized as the primary exterior material for its long-term maintenance and durability, as well as blending aesthetically with the installation buildings. Prominent entry canopies at the main and student entrances and high performance glazing are modern design elements that also promote a sense of way finding. Inside the elementary school, Fort Rucker’s aviation background is brought to life through learning elements that help reinforce the base’s mission. A “Flight Path” is the school’s central circulation path designed with aeronautics concepts and memorabilia. Additionally, in the 2-story Commons space helicopter graphic panels, a replicate of the helicopters used by military personnel at the base, are suspended from the ceiling. These unique elements truly make the new Fort Rucker Elementary School a significant place on the U.S. Army base. 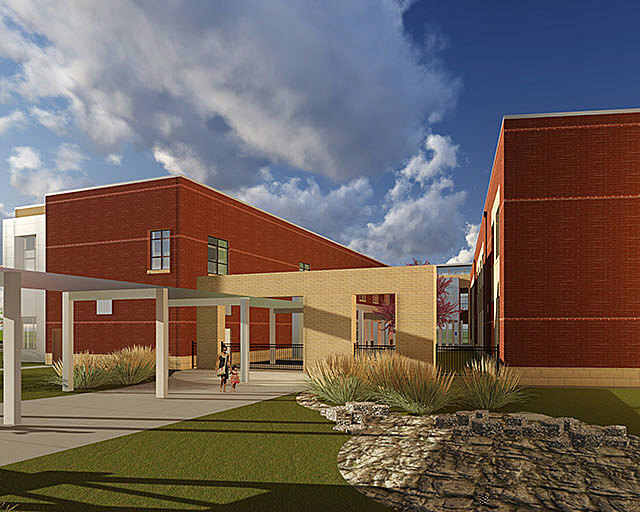 The plan for the new elementary school creates four distinct areas between the building wings that offer unique opportunities for outdoor learning and activities. Along the North West portion of the 13-acre site is the new elementary school’s Learning Terrace. This area, located along the main circulation, serves as the student entrance into the facility from the parent drop-off. The learning terrace is centered on a history walk, which includes important dates marked in the concrete walk and plaques to create a historical timeline of events that have taken place at Fort Rucker. This area embraces the culture of the military base while actively engaging with students from the moment they arrive at school. The South West zone of the site has been designated as the Community Plaza and serves as the entrance to the commons, gymnasium, multi-purpose spaces and allows for direct community access for after-hours events. This area also includes an outdoor amphitheater for student performances and presentations. At the North East side of the site sits an outdoor play area and tot lot for the Pre-K / Kindergarten students. Moving along the East side of the building is a natural, open green space that serves as an outdoor classroom to accommodate group learning allowing, educational activities to occur both inside and outside the building’s walls. This area also includes a Learning Garden with tools that teach students about sustainability, including a weather vane, herb garden, demonstration photovoltaic panel, and demonstration wind turbine. At the South East zone, an outdoor Art Studio has been created to provide opportunities to bring the art curriculum outside. This outdoor plaza has a hard surface exploration space that can be used for artwork creation and display. The existing site will also include a refurbished track, playfields, playgrounds and new hard courts to better serve the students. 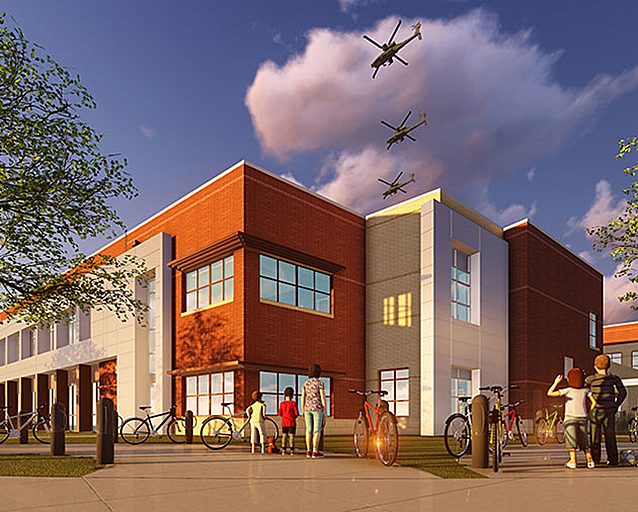 The design of Fort Rucker Elementary School was centered on creating a learning environment that would give today’s students the tools they need to succeed in the 21st century. This forward-thinking approach was taken into consideration throughout the design of the academic and social spaces inside the school. 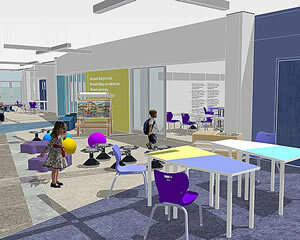 The academic spaces are housed in seven innovative, learning neighborhoods that include a series of learning studios and staff collaboration areas that open to a larger learning hub, equipped with flexible furniture and technology encouraging a variety of teaching and learning modalities. These learning neighborhoods serve as the school’s academic homes. Located at each neighborhood entry is a unique Learning Wall that in addition to providing a learning opportunity also gives each neighborhood its own identity and provides a sense of way-finding throughout the school. 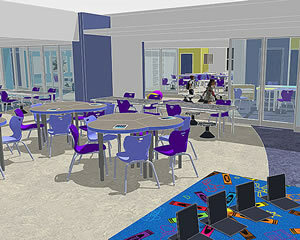 The learning studios embrace 21st century educational philosophies and tools with writeable desks, flexible furniture to accommodate a variety of teaching styles, and operable walls between studios to allow the educational environment to adapt to the changing needs of the curriculum. Transparency between the studios and the hub creates a visual and physical connection and is facilitated through the use of glass walls to allow for additional natural day-lighting to fill the neighborhood. The 21stcentury academic spaces are infused with state-of-the-art technology, including SMART Boards, overhead document cameras, writable glass walls and iPad / tablet technology. Additionally, there are spaces for group study, one-on-one individual instruction, technology and reading labs. 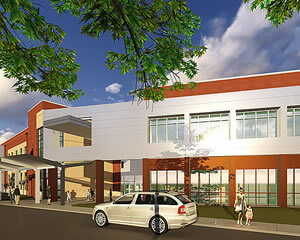 Located at the end of the “Flight Path” is the elementary school’s social and collaborative hub known as the Commons. This 2-story space has clerestory windows on three sides that provides ample daylight and features memorabilia and helicopter graphics that align with the primary mission of the installation while providing learning opportunities for students and visitors. Serving as the main transition between the 2-story learning neighborhoods to the north and the shared academic spaces to the south, the Commons blurs the edges between instructional and common space. The shared academic spaces include the Dining / Multi-Purpose space, Gymnasium, and Music and Art suites which open up to the Community and Art Plazas on the exterior. Centrally located off the Commons is the Multi-Purpose room which serves as the main dining area for the school, as well as the performance space. A glazed operable partition provides the ability to open the space up to the Commons area for even large performances or after-hours events. On the east end of the Commons, are the Art and Music suites providing easy access, but with an acoustical separation from the neighborhood academic spaces. The art room has ample exterior walls to provide daylighting and direct access to the outdoor art studio to create a seamless learning space from the inside out. Opposite the Art Suite is the Music Suite with access to the Multi-Purpose room. This neighboring location allows access to the performance stage for instruments and students who are showcasing their performances. The Gymnasium is off to the west end of the Commons and houses locker rooms, storage, coach and teacher’s offices and the general fitness area. 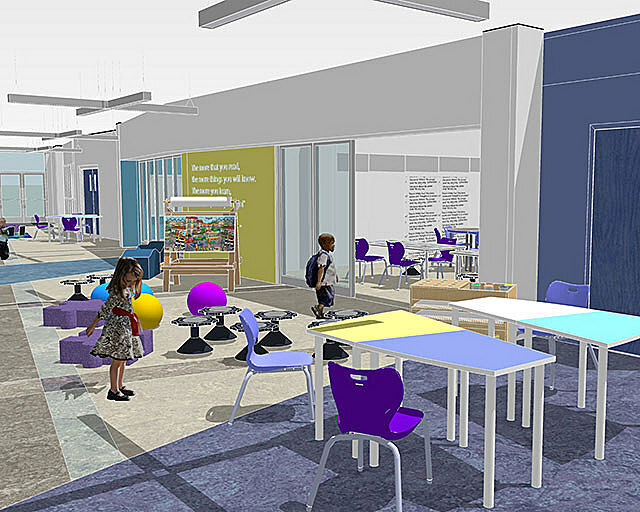 The design for this athletic space includes agility equipment, interactive white board and direct access to the exterior playground, courts and track. The gymnasium is also being designed as a storm / tornado shelter. 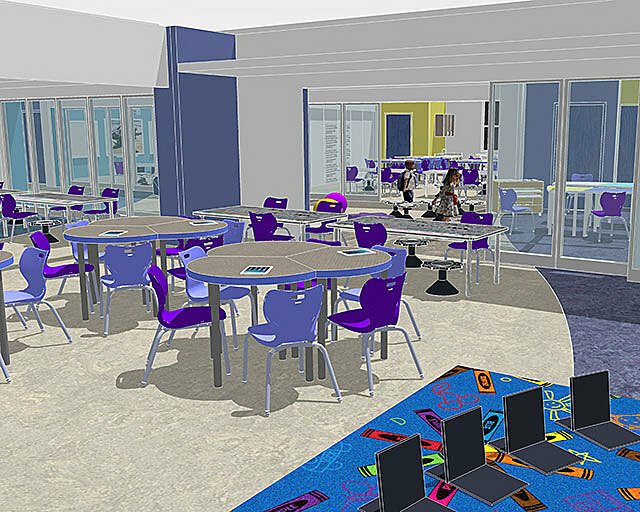 One of the considerations in designing a 21st century school is creating a learning environment that is flexible for the educators and students. The physical space should be able to easily adapt to future changes and accommodate both collaborative and intimate learning spaces to foster creativity. Combine this element with a curriculum that explores the relationship between human and natural ecology and the result is a building that doubles as a teaching tool. 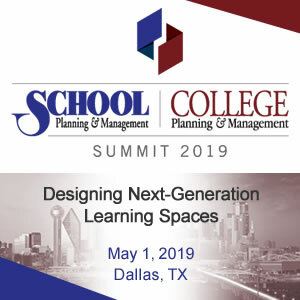 As designers, it is our job to give the building the unique aspects that the educators can integrate into their project-based teaching and provide hands-on learning opportunities inside and outside of the classroom. Utilizing the building as a teaching tool inspires young students to be more sustainable and aware of the environmental impacts that take place. The design of Fort Rucker Elementary School includes the following elements that support green design and educational opportunities: learning gardens, learning terrace with a history walk and water cisterns, bioswales for water harvesting and conservation along with visible and exposed systems that allow students to see the inner workings of the systems that keep their school running. Another hands-on learning feature is the Energy Dashboard, located in every learning neighborhood. Through this touch-screen interface, students and teachers can access real-time data on the school’s energy usage, solar power generation, wind power generation, environmental tips, and current, local weather information. Students will be able to access the Energy Dashboard information wirelessly from anywhere in the school on their tablets. These features instill environmental responsibility into all of the student occupants and help the design achieve a LEED® Silver rating from the United States Green Building Council. Acoustical Consultant: Siebein Associates, Inc.